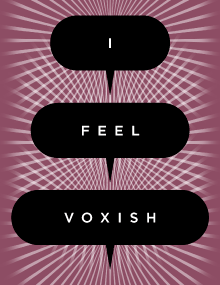 Beginning in September, Mystic Museum of Art will host I Feel Voxish, a forward looking monthly speaker series in which leaders in culture and ideas will present topics representing their passions. The program, which will feature both individual speakers and salon style discussions, will be the first series held in Mystic Museum of Art’s 15 Water Street Gallery. Each event will conclude with a selection of locally-produced cheese, charcuterie, wine, and beer, and will give those in attendance a chance to meet the speaker in an informal setting. I Feel Voxish will run September through June. No event will be held in December. Tickets: $8 members, $10 non-members. 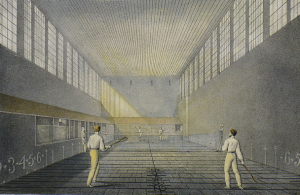 Court Tennis: The Game that Created All Games, with Eliot Van Buskirk. A leading technology journalist and digital music expert, Eliot Van Buskirk is best known for being the first journalist to proclaim the advent of the iPod at Steve Jobs’ 2001 unveiling, predicting it a “prototype of the data wallet.” Van Buskirk now works for Spotify as a “data storyteller.” He is also an avid player of the little known sport of Court Tennis, whose origins date back to Persian and Egyptian fertility rites. Buskirk will speak on the sport’s history, rules, and the architecture of courts in the US and Europe. 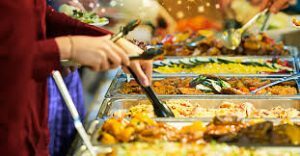 What it Means to Eat All You Can: The Ethics, Politics, and Aesthetics of Buffets, with Simon Feldman and Alan Hazlett. Associate Professor of Philosophy and Chair of the Philosophy Department at Connecticut College, Feldman regularly teaches Introduction to Philosophy and the popular first-year seminar The Meaning of Life. A professor of philosophy at Washington University in St. Louis, Hazlett serves on the editorial board of Philosophical Quarterly. In their free time, Feldman and Hazlett travel the world to eat at buffets. Since 2005, they have sampled buffets in 21 states and seven countries. Trash-Rock Dialectics, with Christopher Heuer. Widely recognized as a specialist in early modern European art and architecture, Heuer is also a music obsessive who has amassed a collection of rare vinyl records with a focus on jazz, garage, and indie rock. 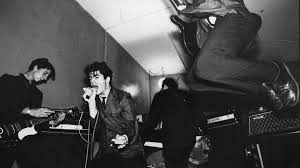 He will speak on Nation of Ulysses, a legendary Washington D.C. concept band that fused music, fashion, and political manifesto.